This is for USA orders only, we are sorry for the inconvenience if you are ordering from elsewhere. For the first time EVER, BRAND NEW STORIES of the “man with the action-packed expense account”! 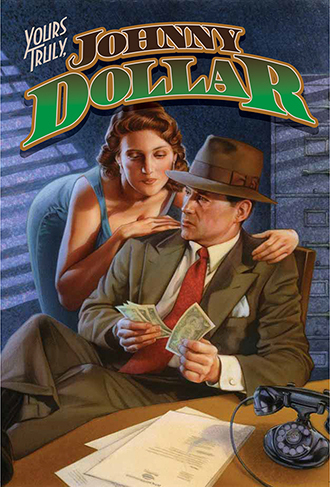 One of classic Radio's most beloved detectives makes his way to prose in Moonstone's YOURS TRULY, JOHNNY DOLLAR! This thrilling collection features today’s top authors, including Anthony Award winning Author Gary Phillips, putting Johnny in the crosshairs of all kinds of danger, dames, and dark deeds! More stories by: Tommy Hancock, Joe Gentile, Ron Fortier, Eric Fein, Bobby Nash, Josh Reynolds, & Barry Reese.